Demo will be released first on PS4 & XboxOne on 08 September 2015 with 8 club and 2 women national teams. more details are below. Playstation: EA Sports has released the playable demo for FIFA 16 already on playstation network (PSN Store) in different regions. Following at the regions/countries where the demi has been released. Its free to download and file is 4.5gp and you can use PSN Store to download the demo in your console. PC: PC demo is also set to be released through official EA Sports origin website. What is included in the demo ? The details of what will be included in the FIFA 16 demo is also revealed. Here is some of the confirmed info from EA Sports so far. You can play kickoff match of 4 minutes half with weather rain/dry plus day or night settings. So there you have it folks, FIFA 16 will be hitting the shelves on 22 September with “Women Footballer” as the marque new feature in the game. This year FIFA 16 will be release on all plateforms including the next gen version on Xbox One and PS4 and also on xbox 360 and PS3. not too sure, they didn’t make nhl demo last year for old gen. 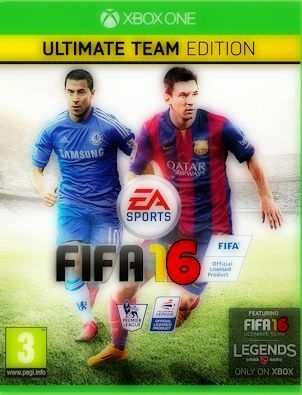 This year the don’t even make fifa 16 for old gen. But Fifa is much bigger brand so they could still make demo for old gen too. fifa 2016 pc will be the same game as ps4 and xbone? Or will they nerf pc version again? Yes, it will be the same as the PS4 and the One. PC is finally being considered a next gen console. same PS4 and Xbox one. have they the danish team in to? is fut draft on xbox 360 ? paradise city 2 Or fnaf 5? when will the final game come out on xbox live for us to buy/download?